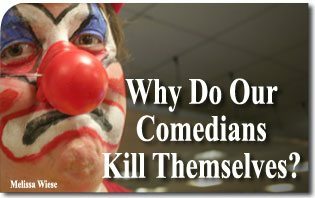 The American TFP > News Commentary > Why Do Our Comedians Kill Themselves? Why Do Our Comedians Kill Themselves? The tragic suicide of comedian Robin Williams contains many lessons. Everyone is quick to point out the contradictions of his life. Here was a man who had everything the world had to offer to fill his life—money, fame and an entertaining lifestyle. And yet far from satisfying him, he was left with an emptiness that led to two failed marriages, drugs, depression, bankruptcy and finally despair. The contradiction becomes even more striking by the fact that he was a comedian. He made his living by making people laugh. His job was to mock, ridicule and make light of everything. Nothing was sacred or spared from his jibes. On the outside, he may well have laughed and joked, but only to escape from the sorrows on the inside where he wept and sobbed. The Robin Williams tragedy does more than just highlight the futility of fame and wealth. The vanity of such pursuits has been known from time immemorial. Rather, this tragedy points to more profound problems that haunt and plague postmodern man in his futile search of meaning. What went wrong was not only the failure of an individual but a culture. It reflects the organization of life of material comfort far from the spiritual or metaphysical realms that force men to take life seriously. It indicts a superficial worldview, which skims the surface of things without desiring to make the effort to look at things more profoundly. In such a whirling fast world full of stress and anxiety, his death points to the rejection of the psychological repose found in tranquility, recollection, and true leisure in favor of the exhaustion of constant fun and games. The suicide of Robin Williams calls to mind the condition that Saint Thomas Aquinas calls acedia, which he defines as the weariness for holy and spiritual things and a subsequent sadness of living. 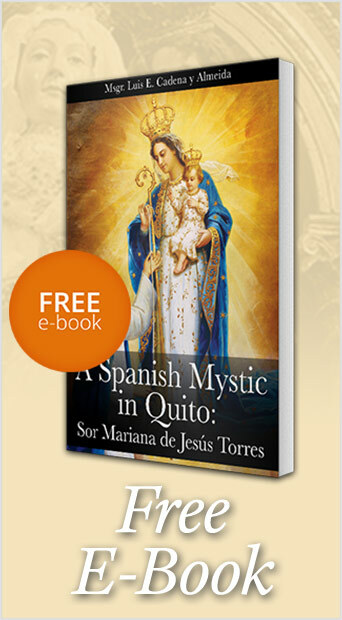 As a spiritual being, the man afflicted with acedia denies his spiritual appetites. “He does not want to be what God wants him to be,” notes philosopher Josef Pieper, “and that means that he does not want to be what he really, and in the ultimate sense, is.” This refusal to consider the spiritual cannot help but bring sadness, listlessness and even despair. And that is what is seen today. Those things that can satisfy the soul—beauty, sublimity or sanctity—are rejected or at least sidelined. They are replaced by the frenetic intemperance of the times, where sensation, immediacy, and impact rule. In such a culture, the comedian is the high priest who questions everything, derides authority and officiates at the performance of a great comedy. In this great comedy, life becomes a big party on the outside while inside, so many hearts bleed. Actors mask the great sorrows that afflict them and invite all to laugh with them. And the spectators mask their own personal tragedies, and play their role by heartily laughing. Thus, actors and spectators all form part of a single grand spectacle fraught with contradiction. With each new act, the jokes become flatter and crasser. Few have the courage to speak up and denounce this farce. They prefer to play along with the comedy and pretend that everyone is happy. Only shocking tragedies, like the suicide of Robin Williams, serve to briefly unmask the travesty until the next act inevitably gets under way. There are lessons to be learned from the Williams’ suicide: happiness is not found in material comfort or endless entertainment. Indeed, despite the outward appearance of the great comedy, real happiness eludes the present society and a great sadness has descended upon the land. Yet another lesson is that some degree of happiness can be found by taking a contrary course. This is done when individuals look beyond self-gratification and seek to be true to their own nature. This happens when they harmoniously satisfy both material and spiritual appetites by searching for things of excellence, beauty and sublimity. They start looking towards higher principles, the common good, or ultimately towards God, thus giving meaning and purpose to their lives. Then the great comedy is replaced by the great pageant of history, a spectacular drama that gives rise to works of art, fabulous cultural achievements, great feats, and acts of religious piety. This drama has the capacity of inciting sentiments of loyalty, dedication, and devotion that can fill the vast emptiness of the great and tragic comedy. As published in Spero News. This entry was posted in News Commentary and tagged comedian, death, Hollywood, life, Robin Williams, suicide by John Horvat II. Bookmark the permalink.